Male Voice-Over Talents – The Voice-Over Guys! 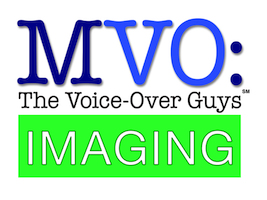 Radio Imaging Demos from MVO: The Voice-Over Guys - Male Voice-Over Talents - The Voice-Over Guys! As THE most listened to voice on every single radio station, a radio station imaging voice is vital for conveying to radio listeners not only the station’s call letters, nickname and branding (“The best variety”, “More music for your work day” etc.) but the station’s character and personality. So for sweepers, radio liners, radio IDs and radio station imaging radio station program directors and creative directors need to hear someone who sounds distinctive and cuts through the noise. They also need a professional who can deliver imaging work consistently and meet deadlines. To those radio production managers and program directors who need a new, awesome radio imaging voice, we would like to introduce you to MVO: The Voice-Over Guys. You may be familiar with some of our voices and some of the other voices may be a revelation to you. Yet each voice below can deliver outstanding radio imaging for you, whether directed or self-directed, and be your dependable resource for providing outstanding audio branding for your radio station. For every single format. CHR, AC, Hot AC, Country, Urban, News, Talk or Sports. Even the formats that haven’t been invented yet (i.e. “All Cat Music, All The Time”). Our professional male voiceover talents have been providing the radio imaging voices for a boatload of large, medium and small market stations around the globe for a long time. We’d be glad to help voice your station too. We can help you with your next radio imaging project. Call one of our guys directly or just contact HERE.